Time; what a concept. It has always amazed me how younger generations spend their days wishing away their adolescence while adults try to hold on to it with the same conviction. Thinking about it, it’s quite bizarre, no? For me, timepieces are important and with the variety available on the market, nowadays they can be as beautiful as they are practical. My jewellery stand is adorned with roughly ten watches. You may say that that’s not a lot you say but for a person that gets a certain level of satisfaction from not being a hoarder, we can say that a score is a fair few. About 2 weeks ago, we at The Coup were approached by Invaluable, the World’s largest online auction place. They wanted to know the story behind our favourite timepieces and, likewise, if they held any sentimental value? This got me thinking. 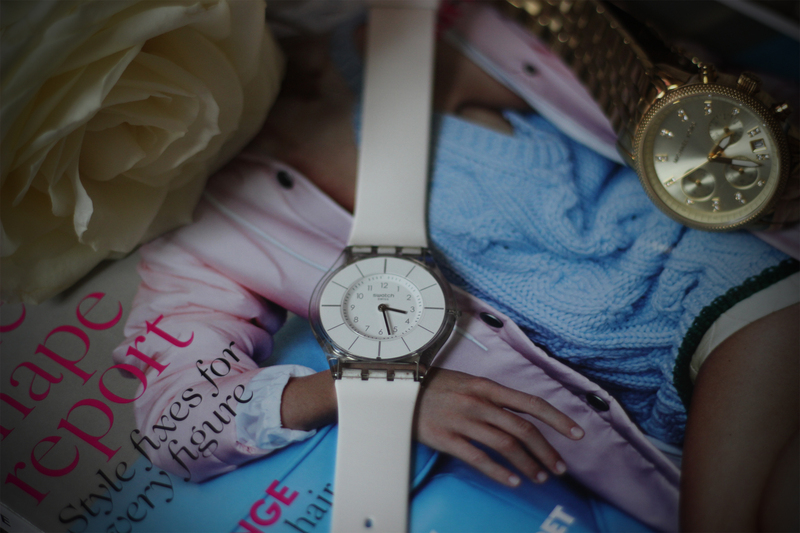 I like all my watches but choosing my favourite was not as easy as I expected it to be. I can settle on two that I like and, although they couldn’t be further afield in terms of style, they do have one thing in common. Strangely enough, both were purchased abroad. Perhaps it’s the fact that they transport me to that happy, zen-like mood you typically feel whilst holidaying; I don’t know. The first one is my classic Michael Kors ; bought in Germany exactly two years ago to the month. I doubt any of you will be surprised that this watch has made it into my favourite two. I was once told that there are 3 things a woman should own. 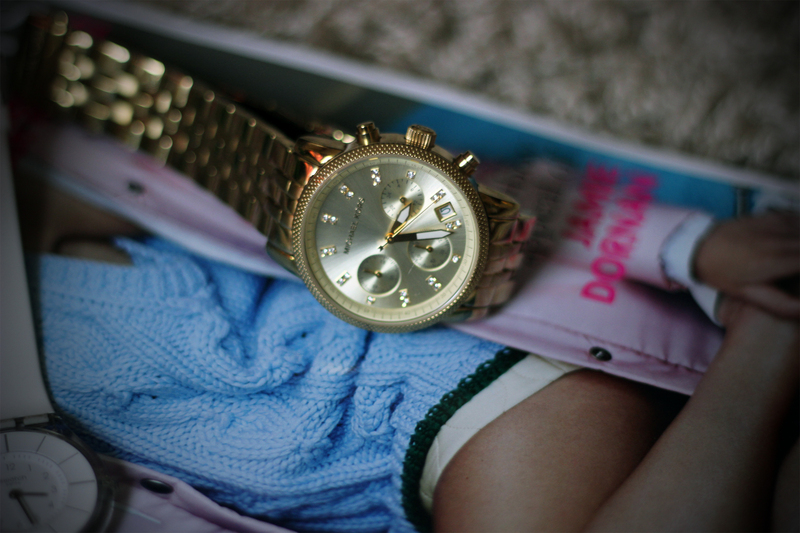 I won’t disclose what all three items were but a classic MK watch did top the list. It makes a statement whilst keeping it classy to say the least. A tad more peculiar in style, however, is my favourite; my SKIN Swatch watch. This was also purchased abroad; in Geneva, Switzerland, to be exact. I imagine that this choice will strike you, it took me by surprise too, but in all honesty, this is the one that I opt to wear almost everyday. Perhaps it’s its understated delicacy that does it for me. Or maybe, it’s the fact its comfort, alongside its character and quirkiness, ticks the right boxes. Who knows but then again who cares? I like it and that’s all that matters right? Right. 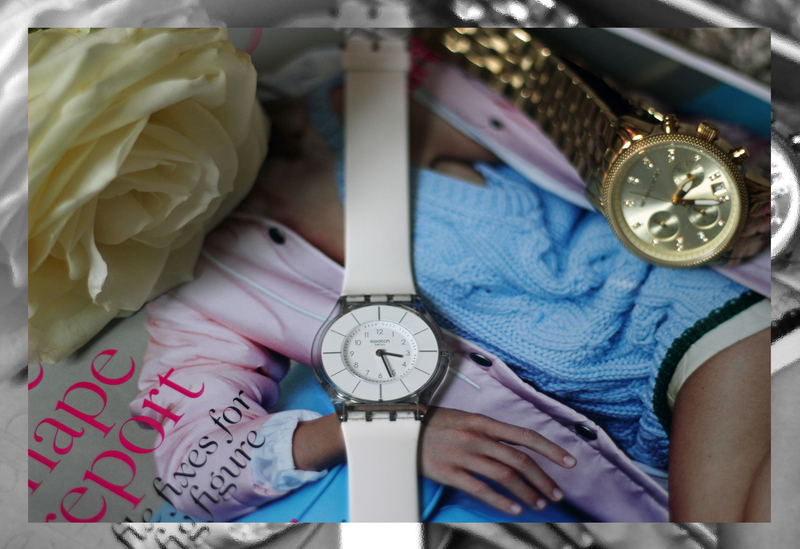 See here for watches available at Invaluable. This entry was tagged adiyam, blog, invaluable, lifestyle, london, michael kors, story, swatch skin watch, team coup, the coup, watch. Bookmark the permalink.